Great Smoky Mountains National Park – Are you ready to ‘fall’? If i had to guess which national park is the most visited in the US, Smoky Mountains National Park would not have made my guess list. But after a relatively easy flight to Charlotte, North Carolina and a spectacularly scenic drive to Gatlinburg, Tennessee on a low-key fall weekend, i realized why Smoky Mountains is in fact the most visited national park. Smoky mountains national park has some of the most quirky southern cottage homes you will ever stay in. Wood burning fireplaces, creepy cats, and grizzly bear traps et all. Smoky mountains has picturesque and varying level of trails depending on your appetite. …the ambers and reds get deeper. The mould and fungi more fresh. The forest takes on a new solitude. The paths get more real. Here you can listen to the crunch of your own footsteps against the crisp freshly fallen leaves. And the true color of the deep dark woods reveals itself. If hikes are not your thing, Smoky mountains can be entirely covered on scenics loops including, Cades Cove Loop road, Little river road, and New found Gap. These drives are truly wallpaper-esque. As you approach Newfound gap at sunset, the rays wash the fall colors in a golden glow. The sunlight decorates each and every leaf with added brilliance. But why is the national park called Smoky mountains? It gets its name from the mist that builds up from the forests and hovers over the Appalachian Trail like thick smoke. You will know what i mean when you drive up the heights to the border of the North Carolina and Tennessee state lines. As day falls, the light play reveals deeper hues on the countless species of conifers and deciduous trees. And it gives you endless options to paint your mind’s canvas with. 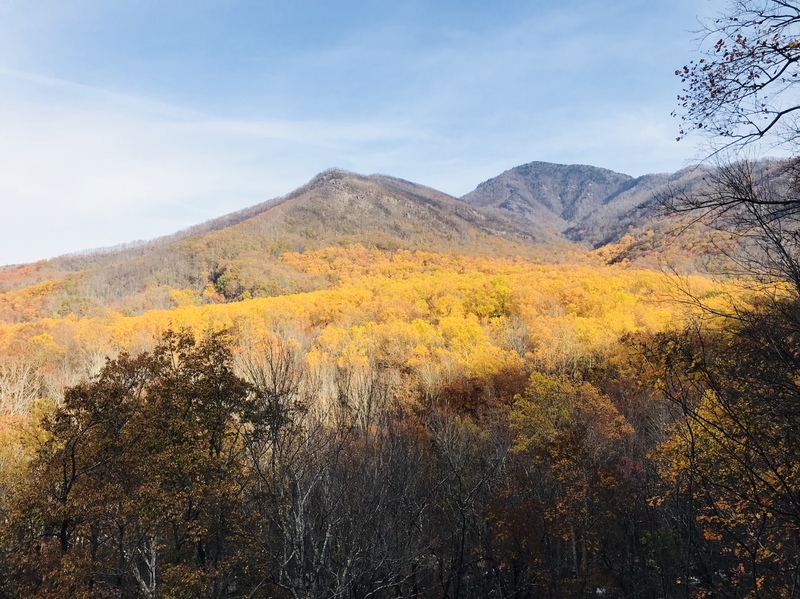 Smoky Mountains National park makes for the perfect weekend getaway during fall (or anytime of the year really). Check out my previous blog on Everglades National Park and the one coming up on Death Valley National Park! Previous Everglades National Park – Swampy Grasses and Alligators! Next Death Valley National Park – Did i catch the Super Bloom?